Elegant and organized. The space was maximized with the use of a large, contrasting multi-function island that provides an undermount sink and built-in dishwasher in addition to generous storage and space to dine. To create continuity of design, a custom credenza, flanked by floor to ceiling cabinets and topped by uppers with glass doors, was installed in the dining room in the same style as the kitchen. The entire design kept the home's beautiful windows and waterfront view as a key feature and accentuated and complemented these assets perfectly. Fit for a growing family. 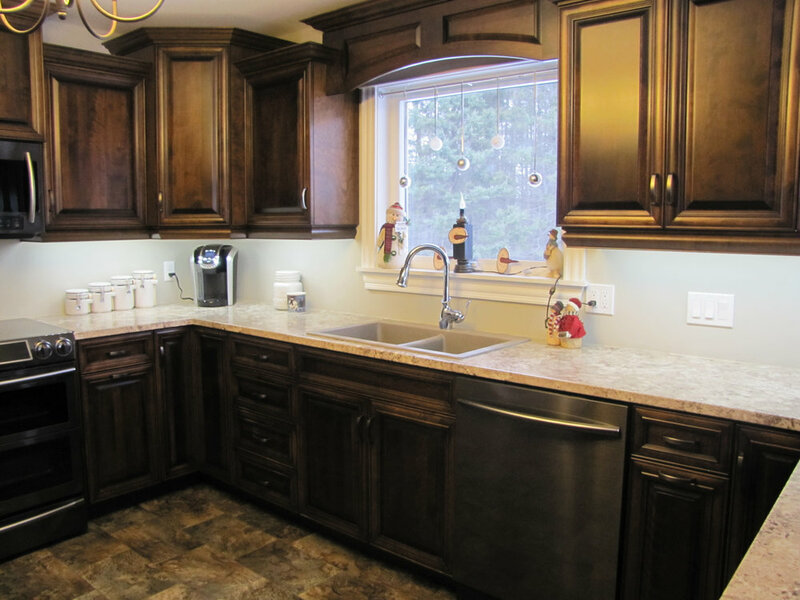 This kitchen has generous prep space and storage for a busy family. A peninsula allows for a useful spot to feed the family, or just relax with a cup of tea. The ingenious design allows for every inch of space to be gorgeous and practical at the same time. 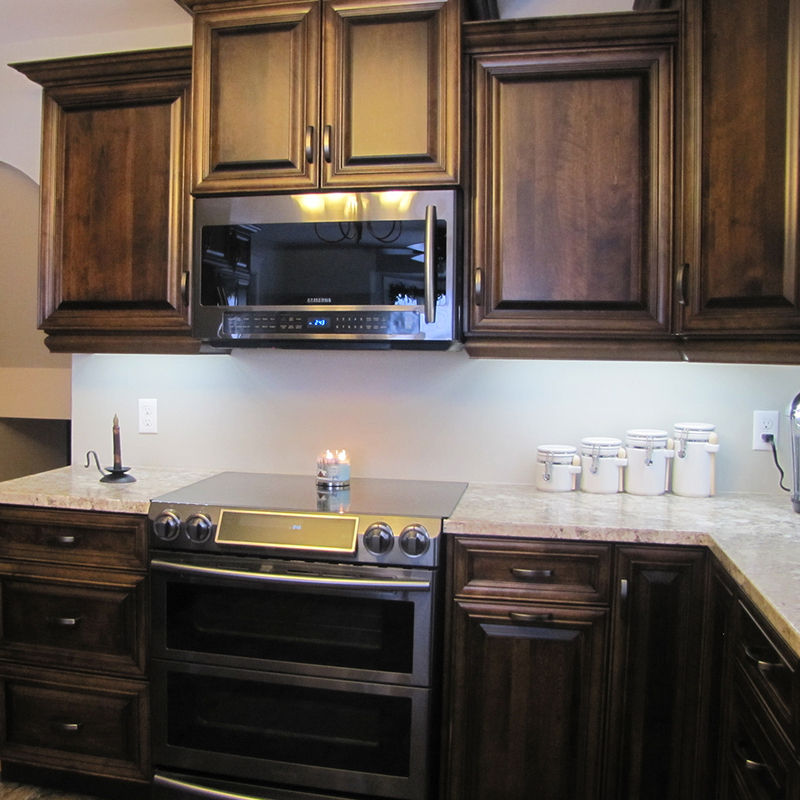 There is an easy flow to the room, and the choice of light gray cabinet doors imparts a feeling of calm and comfort. Cool, fresh and spacious. That describes this kitchen. The beautiful, angled peninsula adds preparation and dining space while creating interest and flow with the rest of the house. Warm and cozy in the countryside. Rich, dark-stained cabinets in a large, well-appointed room with neutral shades will provide many years of beauty and function. Fresh, modern, shiny and white. This kitchen went from simple to sleek. 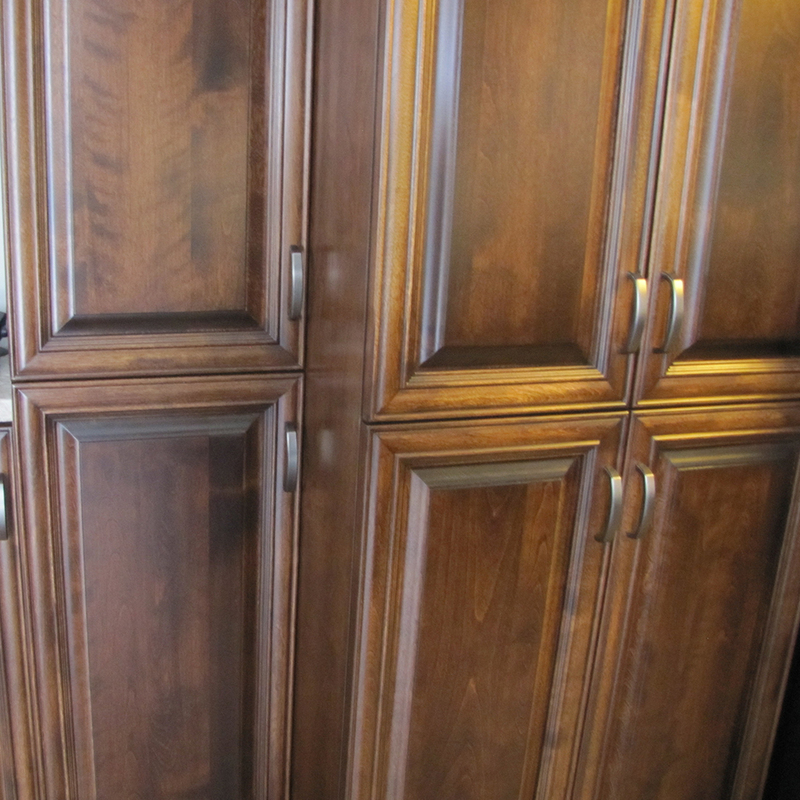 The high gloss cabinet doors and drawers reflect the light and make the space airy and clean. Plenty of built-in, high quality appliances and optimizations make the most of every inch of available space. The island is mounted on wheels that allow it to be moved where it is needed. This is a completely reinvented space that is timeless and perfect. Before: This was an older, country kitchen that was in need of renovation.